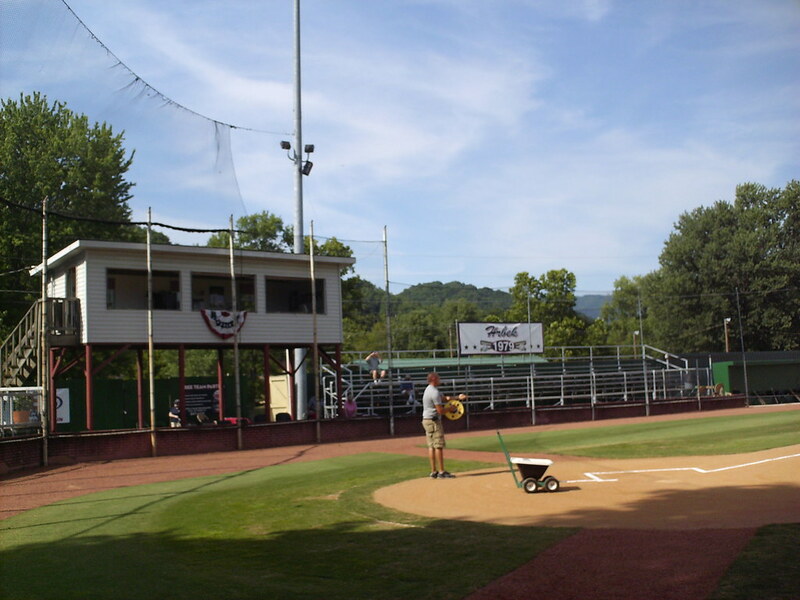 The view from behind home plate at Joe O'Brien Field. 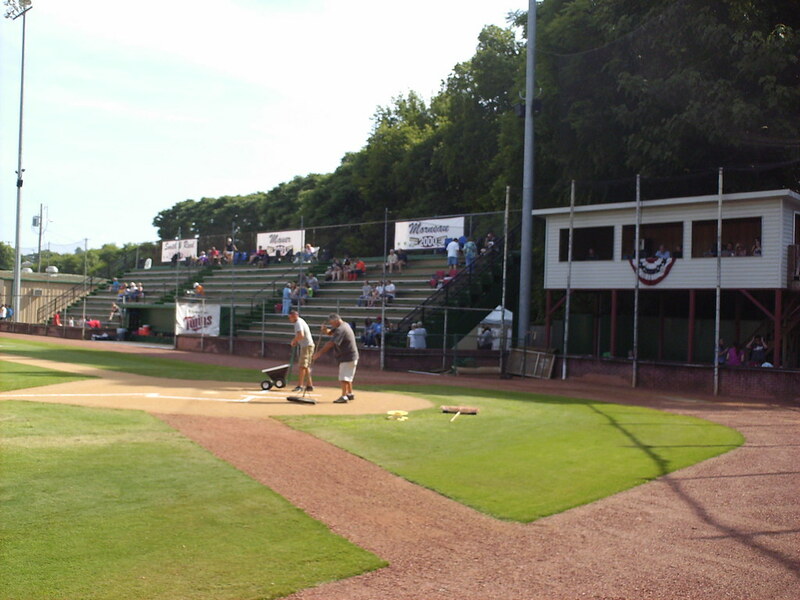 The view from down the third base line, looking toward the clubhouse in the right field corner. 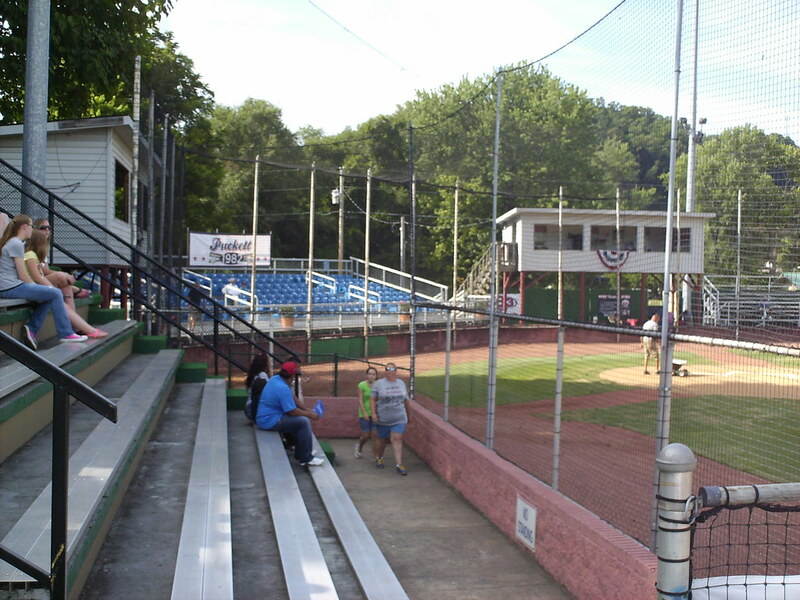 The grandstands at Joe O'Brien Field are broken up into three main seating areas, with elevated buildings in between. 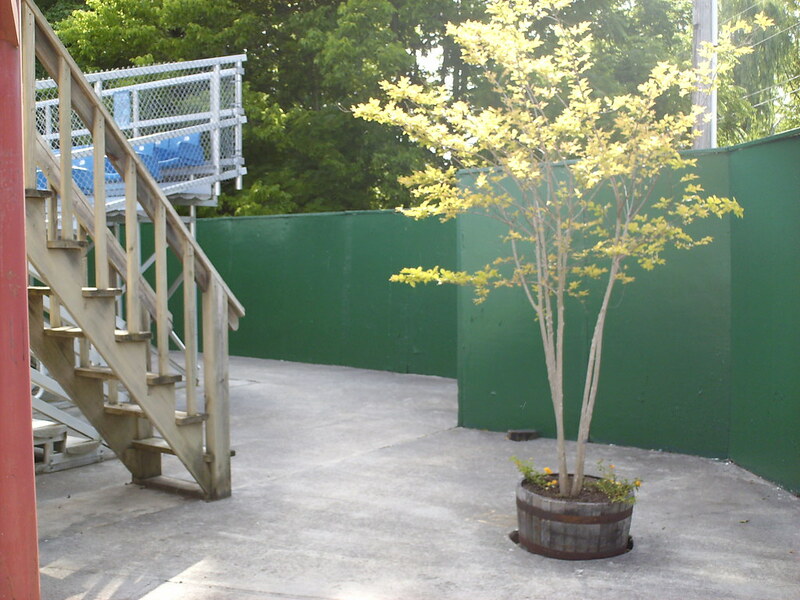 Reserved seating behind home plate features plastic bucket seats. 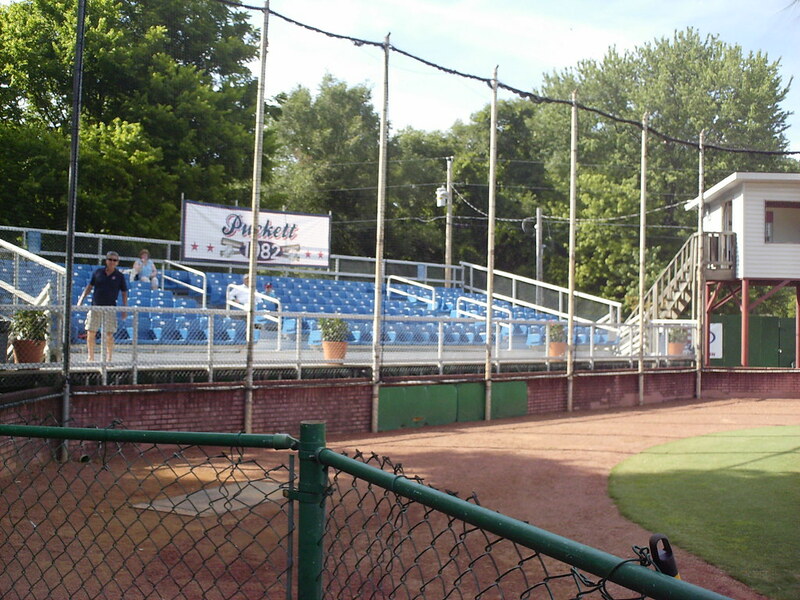 A large bleacher section sits down the first base line, with the elevated pressbox beside it. 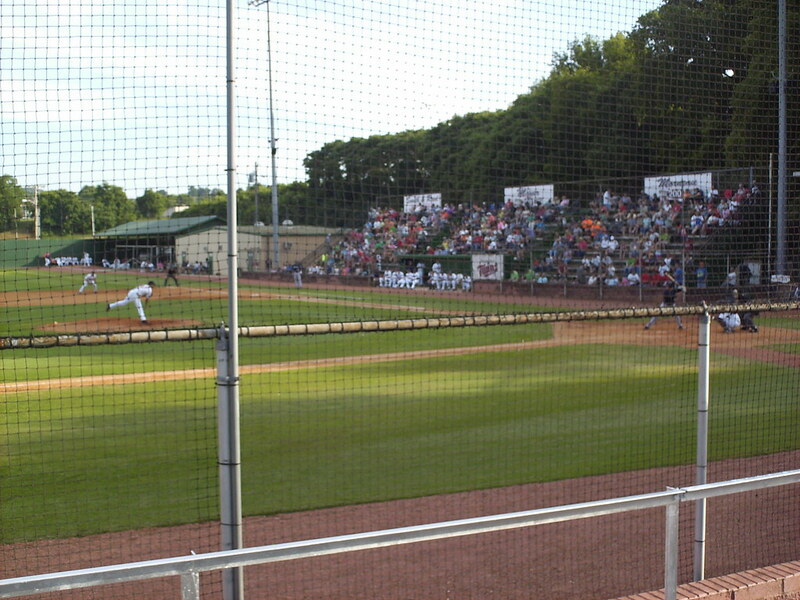 A smaller bleacher section sits on the third base line, with a single "luxury box" in the other elevated building. 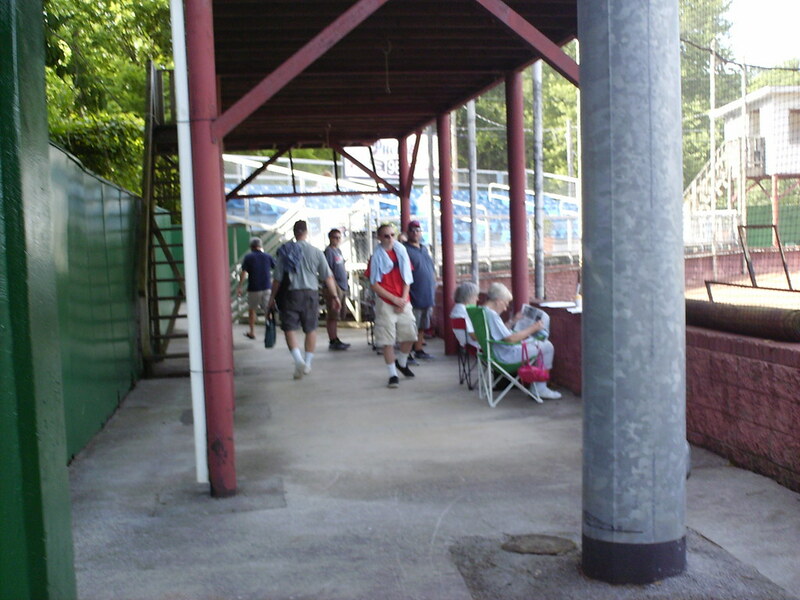 Fans bring their own chairs to sit in the shade underneath the elevated buildings. 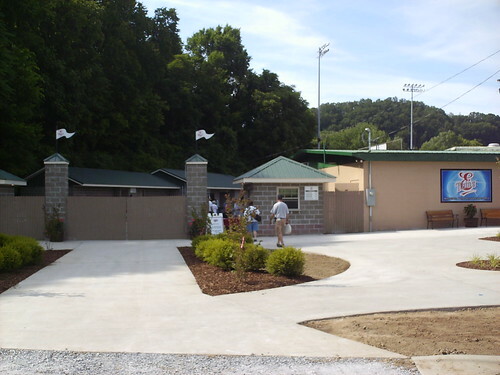 Landscaping on the concourse behind the home plate stands. 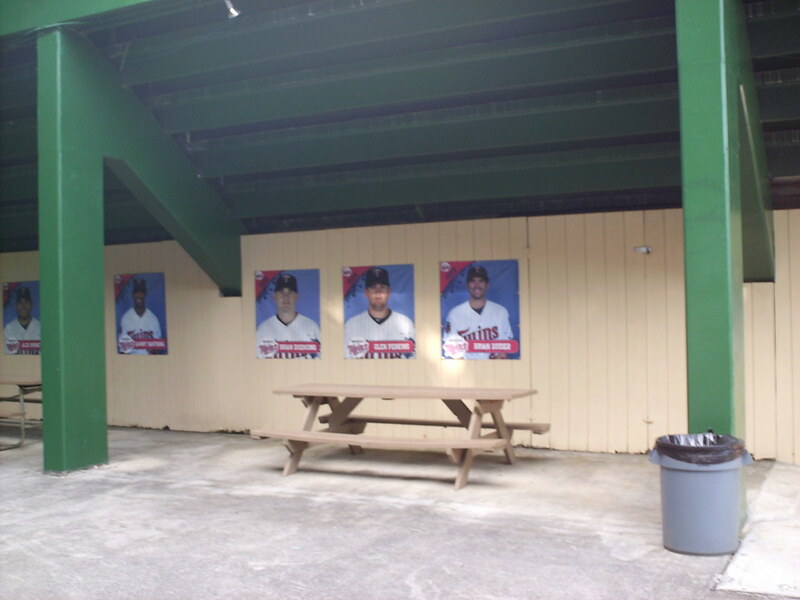 Banners underneath the first base stands celebrate former E-Twins players. 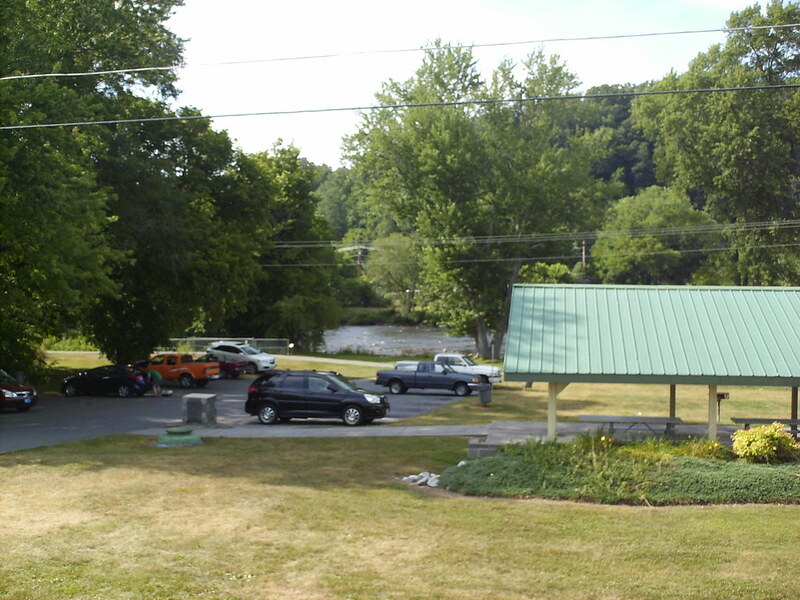 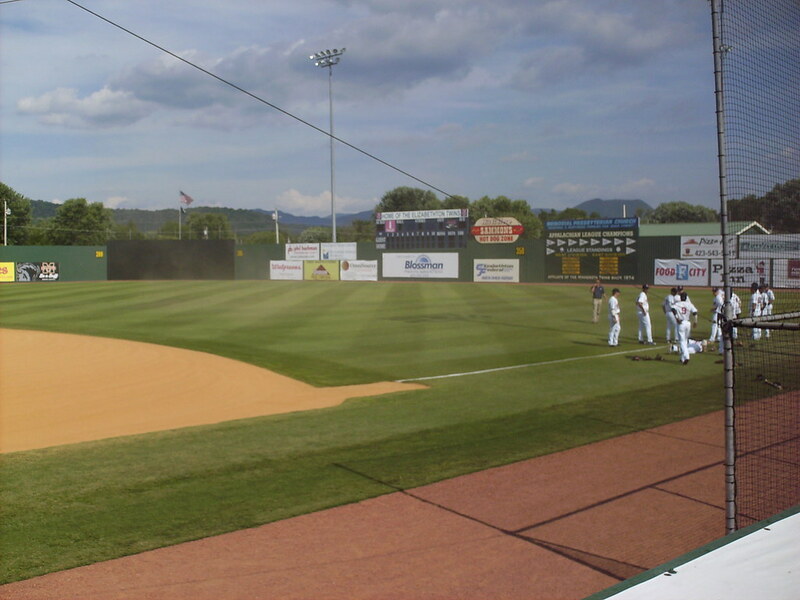 The Watauga River runs behind the ballpark and provides a scenic view for fans in the third base grandstands. 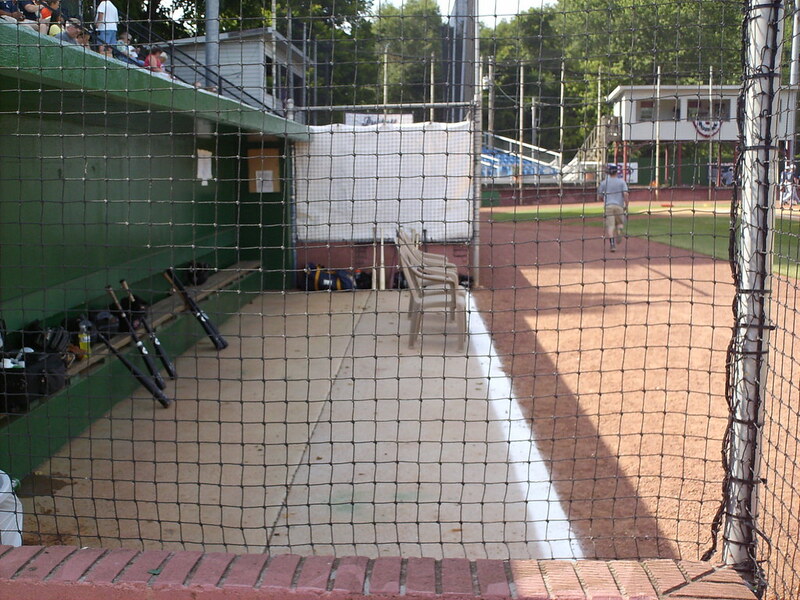 The dugouts sit at ground level, and the home dugout is set into the first base bleachers. 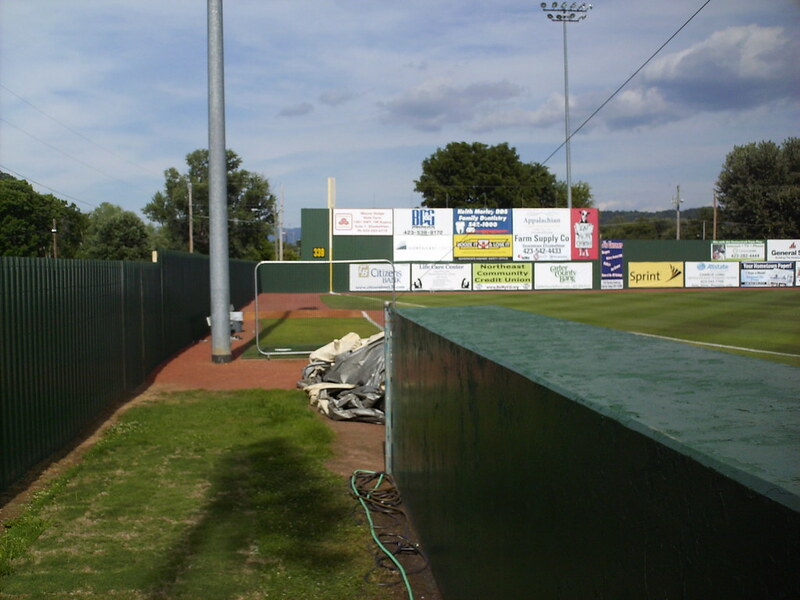 The bullpens sit in foul territory, and the outfield wall is considerably taller in the left field corner. 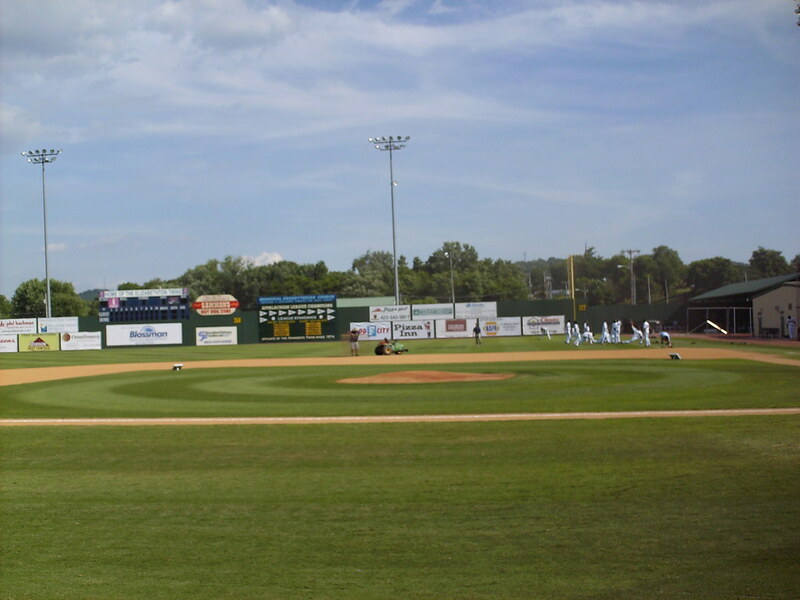 The scoreboard and championship banners on the outfield wall. 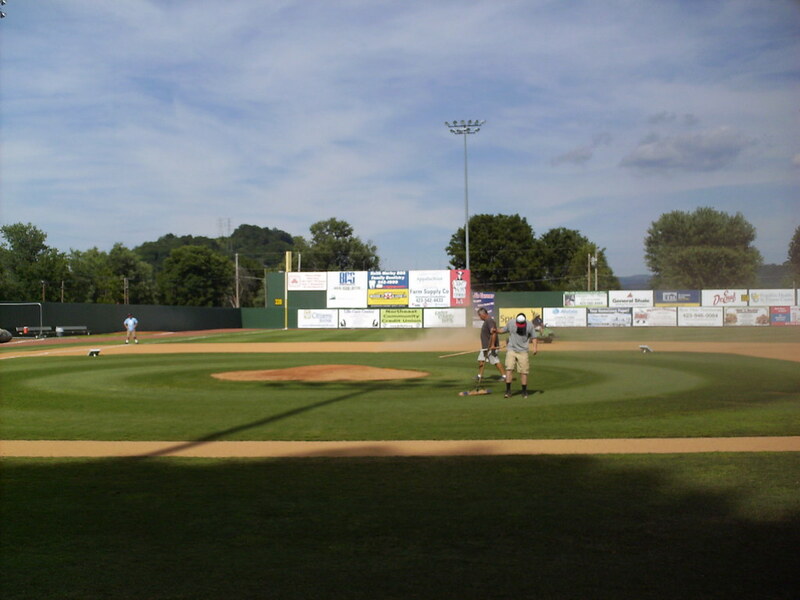 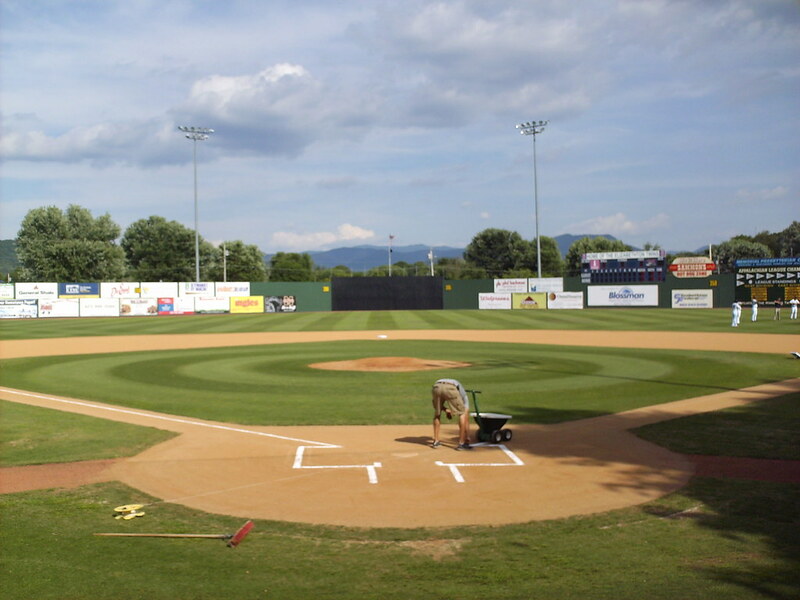 The Elizabethton Twins on the field during a game at Joe O'Brien Field.